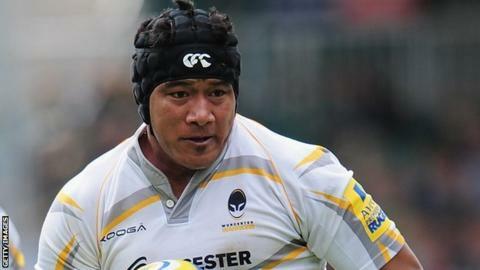 Newcastle have signed back-rower Semisi Taulava from Premiership rivals Worcester for the 2014-15 season. The 31-year-old joins and as Dean Richards' confirmed signings for next term. Taulava joined Worcester in 2012 after impressing in the Championship with Rotherham, and has played nine matches for Dean Ryan's outfit in 2013-14. "I'm excited at the prospect of playing under Dean Richards," said Taulava. "I like the philosophy of the Falcons and when I spoke to Dean I was impressed with the club's plans for the future. "There is a good mixture of both youth and experience in the squad, and I hope that my experience can complement those talented youngsters coming through." Richards added; "Semesi is a quality addition to the back-row, and he gives us considerable power upfront." Meanwhile Falcons confirmed that head coach Peter Russell will leave the club for personal reasons at the end of the season.